If you were to close your eyes and picture a Barbie doll, you’d probably imagine the classic, blonde, impossibly-proportioned plastic lady. But in reality, Barbie has evolved far past her fashion-based origins. Sure, you can still find plenty of the traditional dolls on the shelves, but now they sit alongside more diverse, inclusive Barbies of different colors, shapes, heights and now, abilities. Starting in the fall of 2019, a new line of Barbies with disabilities — including one in a wheelchair and another with a prosthetic leg — will be available for purchase. And the two new features are also realistic. 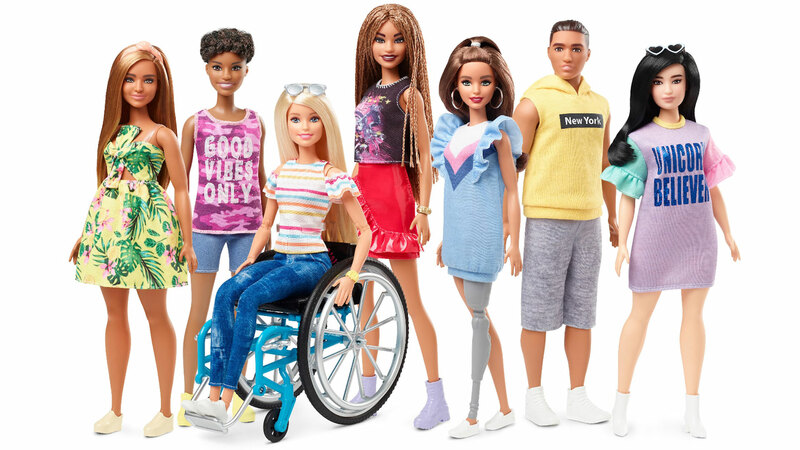 Mattel collaborated with people with disabilities as well as a team at UCLA to create Barbie’s wheelchair and prosthetic limb. The company also worked with 12-year-old Jordan Reeves, who has a prosthetic arm. Culmone told Teen Vogue that Reeves helped Mattel perfect certain details, like making sure that the prosthetic is removable to make it as realistic as possible. Mattel made headlines back in 2016 for launching another new collection of Barbies designed to be more inclusive of different body shapes. Then, there was 2017’s addition to the collection: Barbie and her “friend” sporting “Love Wins” T-shirts. In this case, whether Barbie is a member of the LGBTQ community herself or an ally, it was seen as a powerful message. Of course, Barbie isn’t without her share of controversy, being a steady source of criticism for perpetuating false ideals of beauty and completely unrealistic body types. But wherever you fall on the Barbie love-hate spectrum, it’s hard not to see the new wheelchair and prosthetic limbs as some of her most meaningful accessories yet.